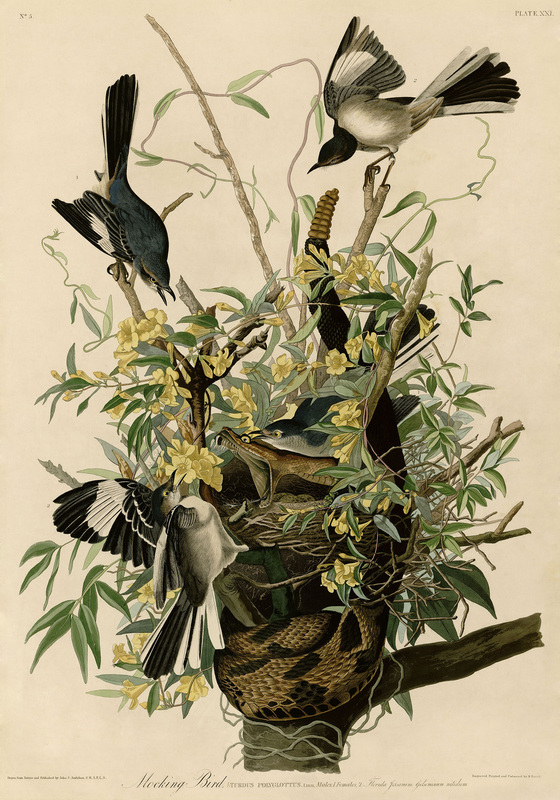 When John James Audubon painted this famous depiction of mockingbirds, he added an attacking rattlesnake to the scene to demonstrate the fearless nature of the mockingbird in defending its young. We know some birds by their colorful feathers and others by a distinctive song. The Northern mockingbird pushes itself into our awareness not so much from brilliant plumage or a unique song — this bird actually copies the songs of other birds — but from an indomitable spirit all out of proportion to its size. 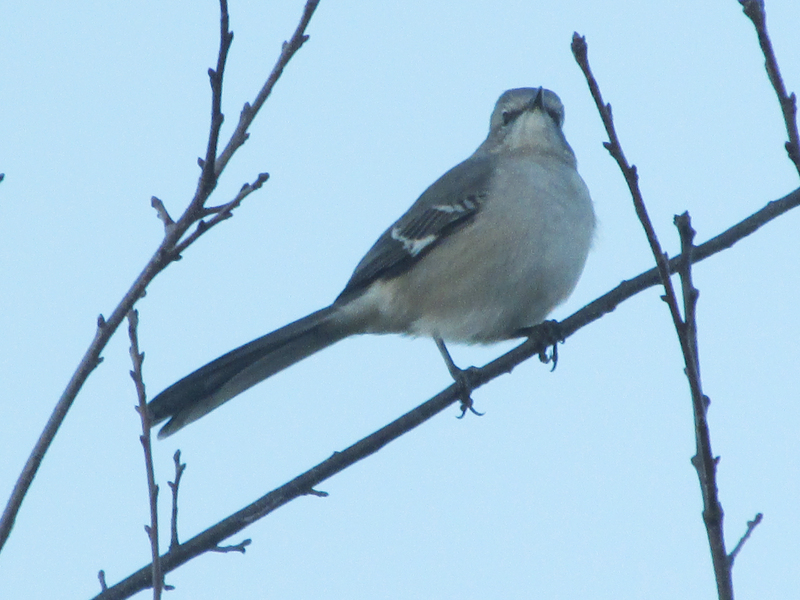 The mockingbird is a relatively common bird in most of the region, but it has always been rather scarce bird at my home. These birds don’t usually visit my yard and gardens outside of late fall and early winter. Close relatives like the gray catbird and brown thrasher, however, are usually fairly common birds in spring, summer and fall. I’ve even had thrashers visit during the winter months, as well as an unexpected December sighting of a catbird last year. Photo by Bryan Stevens The Northern mockingbird is the official state bird for five southern states, in part due to the bird’s assertive nature and spirited attitude. The mockingbird, as well as the catbird and thrasher, belongs to a group of birds known as the “mimic thrushes.” The group provides a convenient umbrella for some related songbirds capable of imitating the songs of other birds. Mimidae, the Latin root for “mimic,” provides the scientific name for the family, which includes mockingbirds and the New World catbirds, as well as thrashers. The Northern mockingbird is best known for the ability to mimic, but relatives like the gray catbird and brown thrasher are also talented mimics. 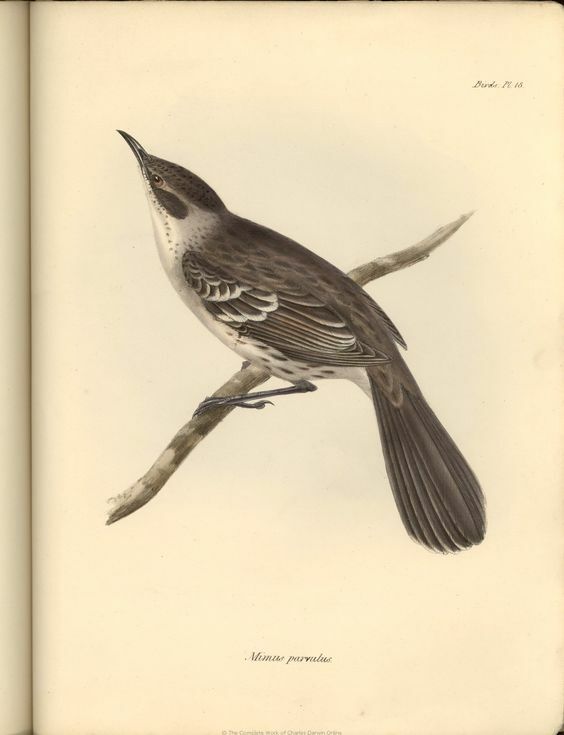 The Galapagos Mockingbird documented by Charles Darwin. Mockingbirds will break into song — their own and those of other birds — at almost any time of day or night. Both sexes sing. 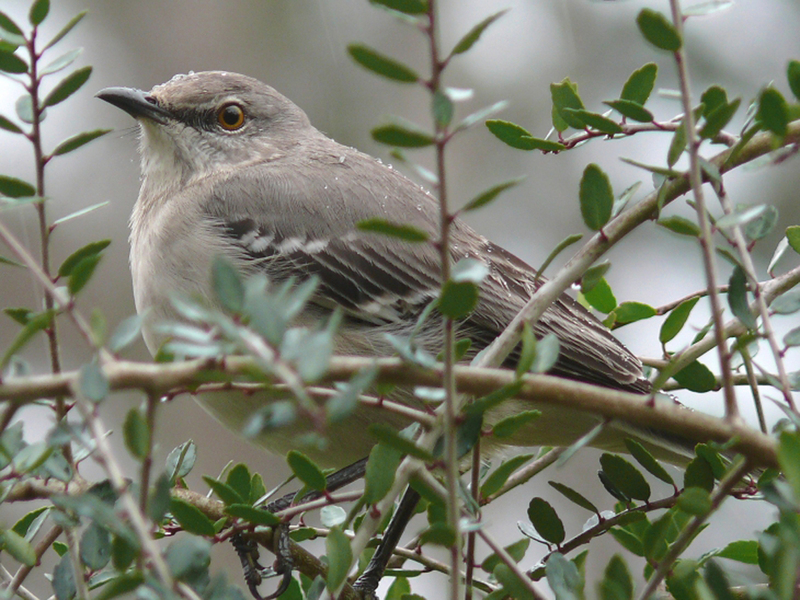 Biologists have speculated that there might not be a limit to the songs mockingbirds can learn to imitate, while other experts believe that the mockingbird’s mimicry might not quite be so extensive. The Northern mockingbird is the only mockingbird found in North America, but Central America, South America and some of the Caribbean islands are also home to 16 other species of mockingbirds. Several endemic species of mockingbirds also inhabit some of the islands in the Galápagos archipelago. Photo by Bryan Stevens Hungry young mockingbirds await a tidbit from a parent. Some of these other mockingbirds include brown-backed mockingbird, white-banded mockingbird, blue mockingbird, blue-and-white mockingbird, chalk-browed mockingbird, Bahama mockingbird and tropical mockingbird. Anyone with much experience with mockingbirds would probably agree that these birds are bold, courageous and sometimes fiercely assertive. The aggression of the mockingbird was on full display when I once observed a pair of these birds attempting to defend a berry-laden holly tree from a voracious flock of cedar waxwings. Badly outnumbered, the two mockingbirds would successfully chase off several waxwings only for another dozen or so waxwings to take the place of their vanquished flock mates. Although the flock of waxwings consisted of about 80 individual birds, the mockingbird pair put up a valiant struggle tom defend the food represented by those holly berries. Photo by Ken Thomas A mockingbird keeps an alert watch on its surroundings. Nesting mockingbirds are also very defensive of both their nest and young. They will attack anything that moves in the vicinity, including domestic cats and dogs, as well as humans. I recently observed a young red-tailed hawk perched in a tree. Crows and blue jays were screaming in protest at the large raptor’s presence, but the only bird to actually make contact with the hawk was a single mockingbird that swiped the back of the hawk’s head in a persuasive effort to convince the raptor to move along. 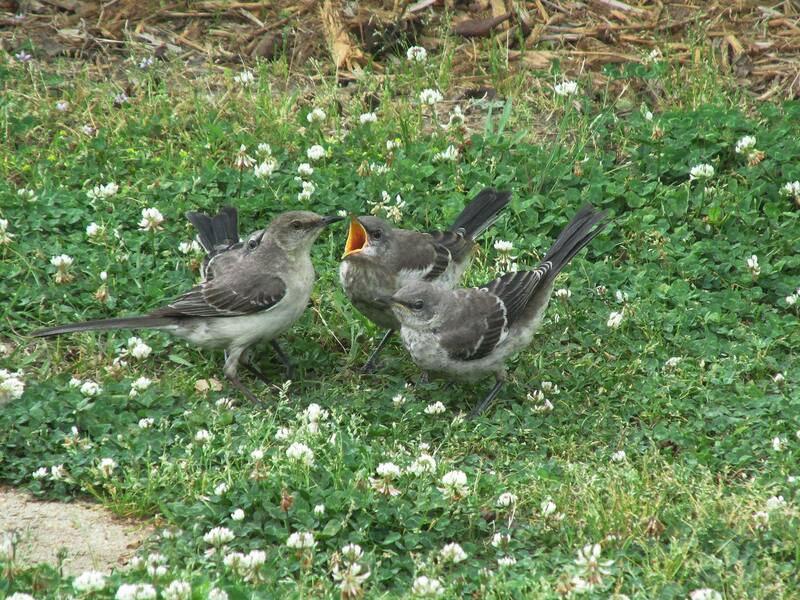 It’s that feisty attitude that impresses most people about mockingbirds. Even people who don’t like this bird — some consider it a bully — usually give grudging credit that the bird doesn’t lack in courage or spirit. Photo by Bryan Stevens The mockingbird gets its name from the ability to mimic the songs of many other species of birds. Perhaps that’s the reason five states — Tennessee, Texas, Florida, Arkansas and Mississippi — have made the mockingbird their official state bird. The southern makeup of these states reflects that the mockingbird has always been a bird of the southern United States even as it has expanded its range northward and westward. 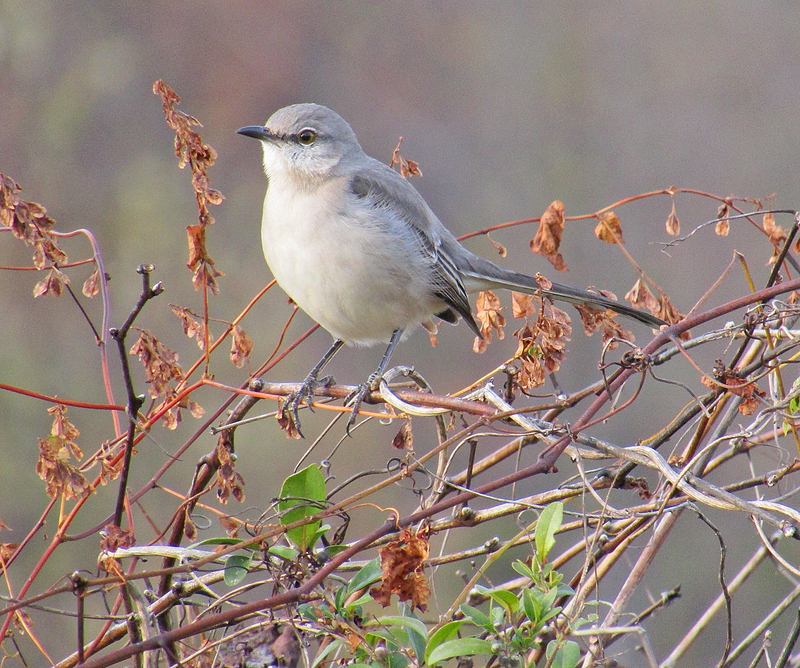 The mockingbird was designated the state bird by the Tennessee General Assembly in 1933. The mockingbird’s designation had been decided earlier that same year in an election conducted by the Tennessee Ornithological Society. Florida and Texas both selected the mockingbird in 1927, Arkansas in 1929, and Mississippi in 1944. The mockingbird was once the official state bird of South Carolina but was replaced by the Carolina wren in 1948. If the mockingbird had a slogan, it might be something like “don’t mess with me.” The mockingbird in your yard or garden considers the territory its own little kingdom. Intruders beware. This entry was posted in Birding, Birds, Charles Darwin, Galapagos Islands, Galapagos Mockingbird, Mockingbirds and tagged Birding, birds, Bristol Herald Courier, Bryan Stevens, Carter County Compass, Charles Darwin, Elizabethton Star, Erwin Record, Feathered Friends, Galapagos Islands, McDowell News, Mockingbirds, Northeast Tennessee, Northern Mockingbird, Our Fine Feathered Friends, Tennessee State Bird, The Erwin Record on December 4, 2016 by Bryan Stevens.